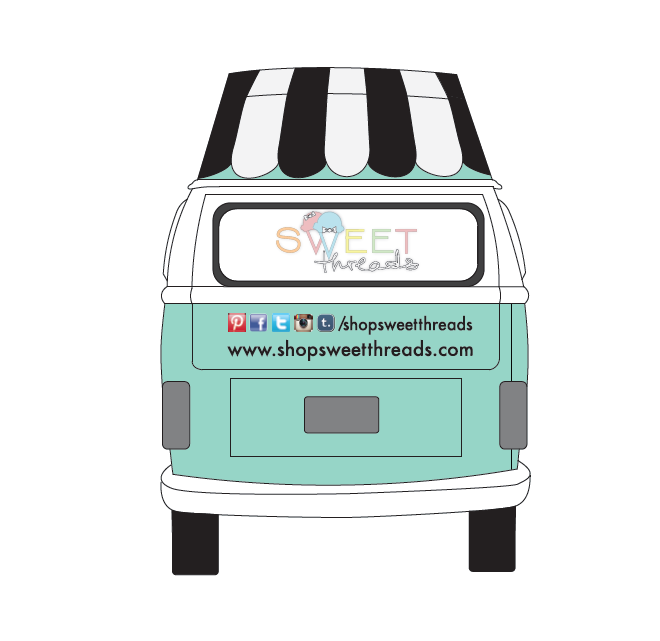 Sweet Threads originally started as an online vintage children’s clothing reseller on Etsy.com. 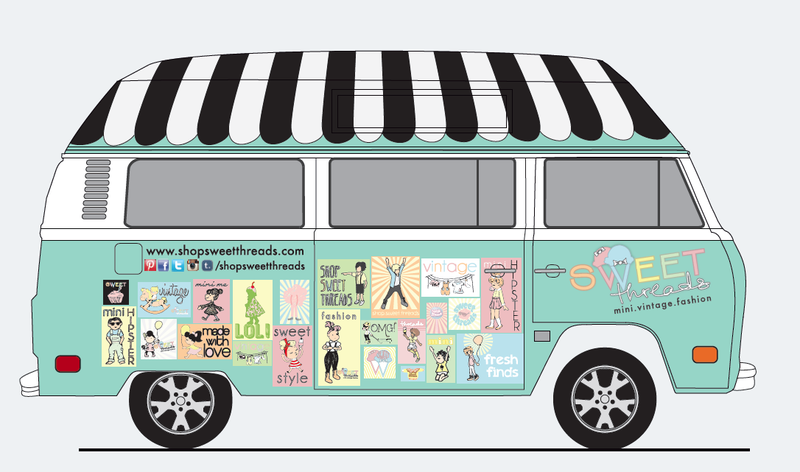 Since then, we have launched our website: www.shopsweetthreads.com. We enjoyed meeting new people and were feeling a little disconnected with our customers. Instead of owning a brick and mortar, we decided to take part in one of the biggest vintage flea markets on the west coast; The Rose Bowl Flea Market in Pasadena, CA. What a fun way to showcase our products, meet tons of new people and get to know our customers. From here we knew what we needed. We needed some kind of vehicle to transport our products to the shows. 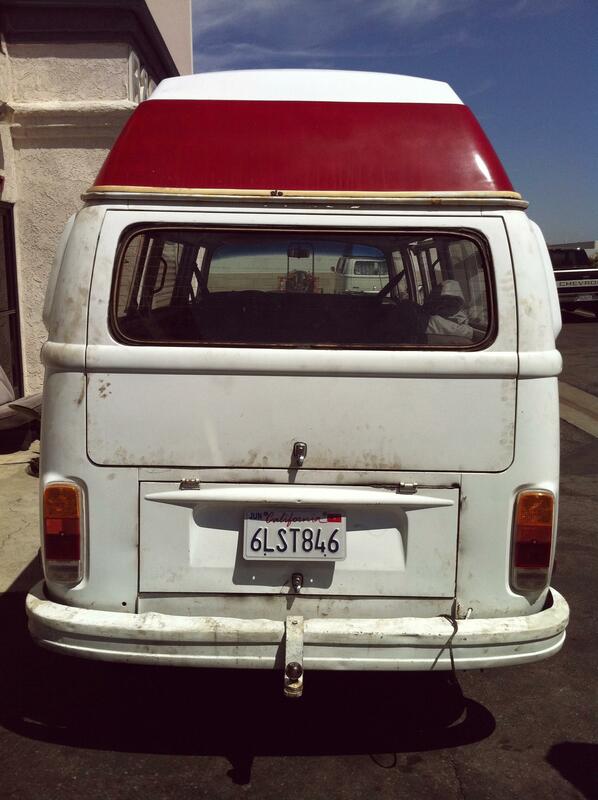 Being that, we thought outside of the box and asked ourselves: what would that vehicle be? A Food truck? An Airstream? Nah, it’s all been done. We wanted something classic, iconic and something that would turn peoples heads on the street. 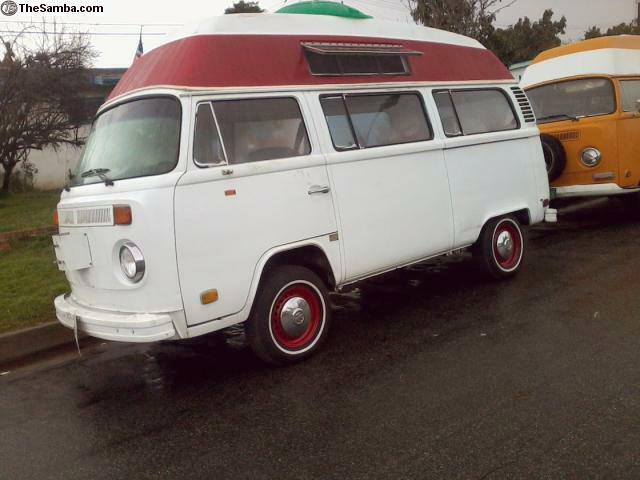 The answer, a VW Bus! That’s it!! We got to work right away. We thought long and hard how our bus design could make sense with our business name and model. 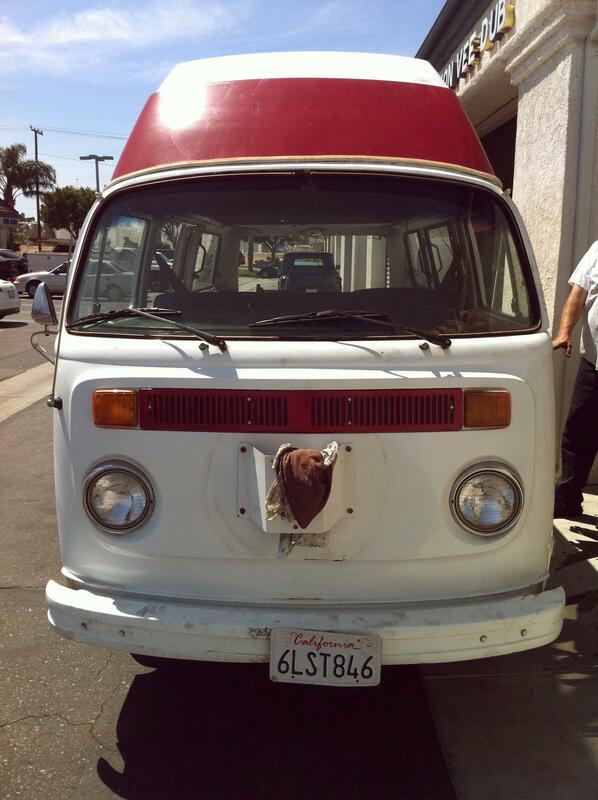 After admiring the bus for its beauty ;p, we started to see the big picture. 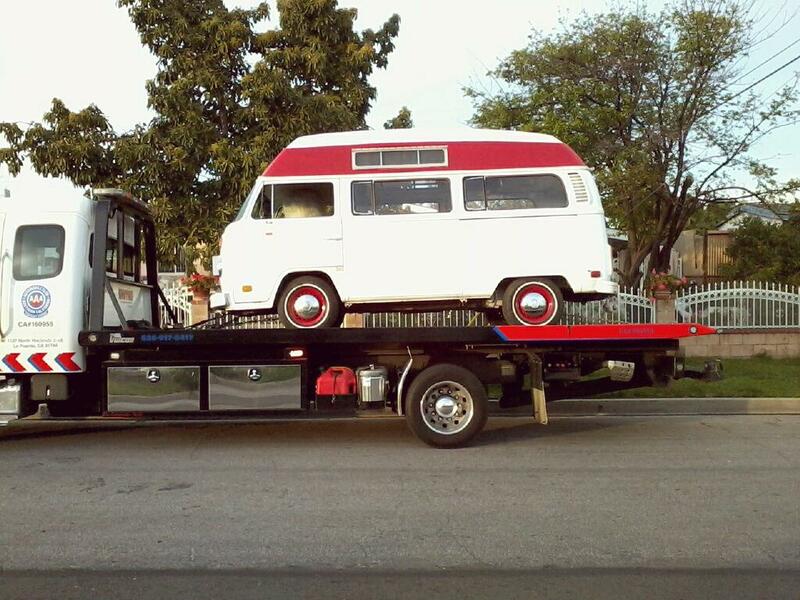 Our bus looked like the shape of an ICE CREAM truck. What a creative way to use our bus. 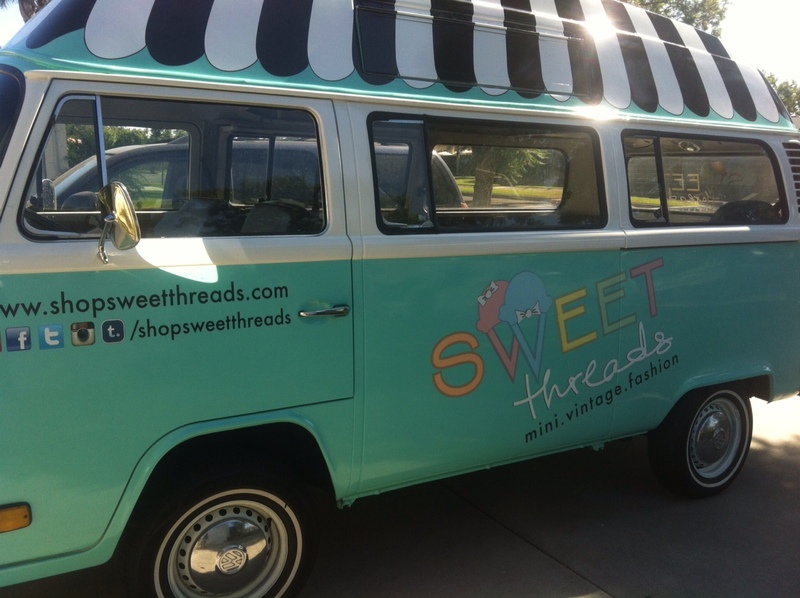 SWEET THREADS carries SWEET NEW + VINTAGE children’s clothing. It makes perfect sense. 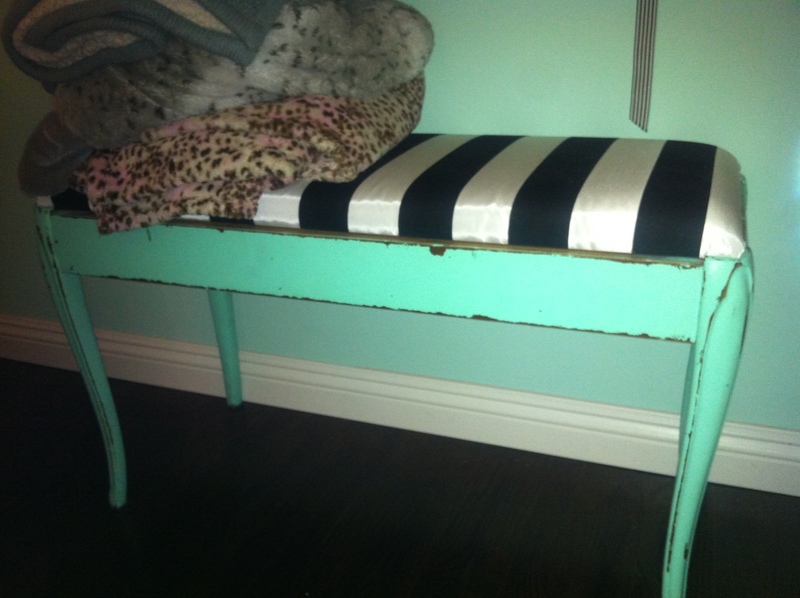 It just so happened that one day a friend was showing us her new home and we came across this CUTE bench. We loved the colors and loved that black & white striped seat. From there it was a done deal. 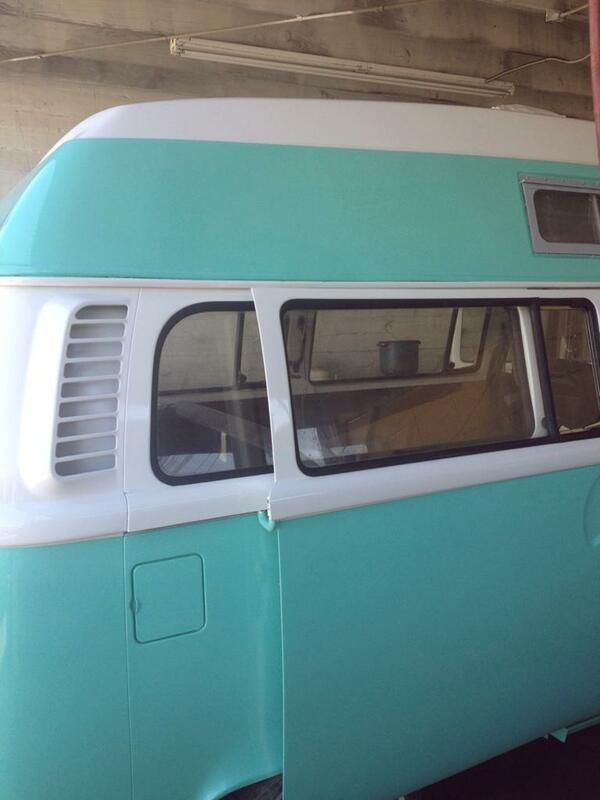 Our paint job would be in a similar mint topped off with the bold black & white stripes. Now let’s make it happen! 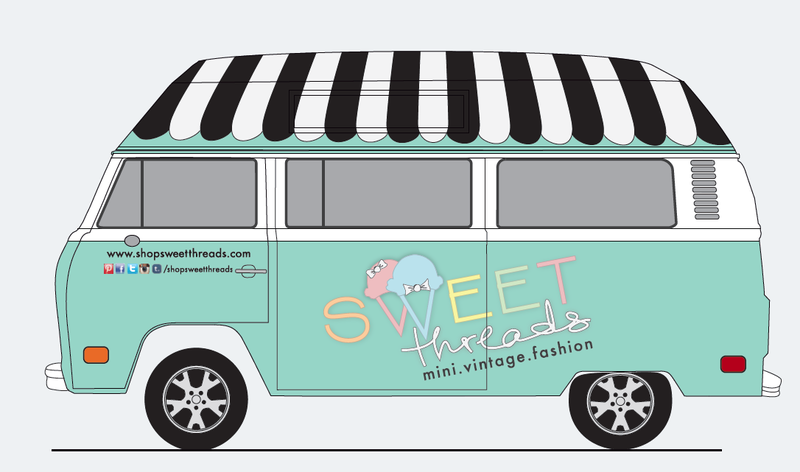 After several changes and revisions to get to our final design, we are proud to present our SWEET ride; SWEET THREADS on wheels. LOL! 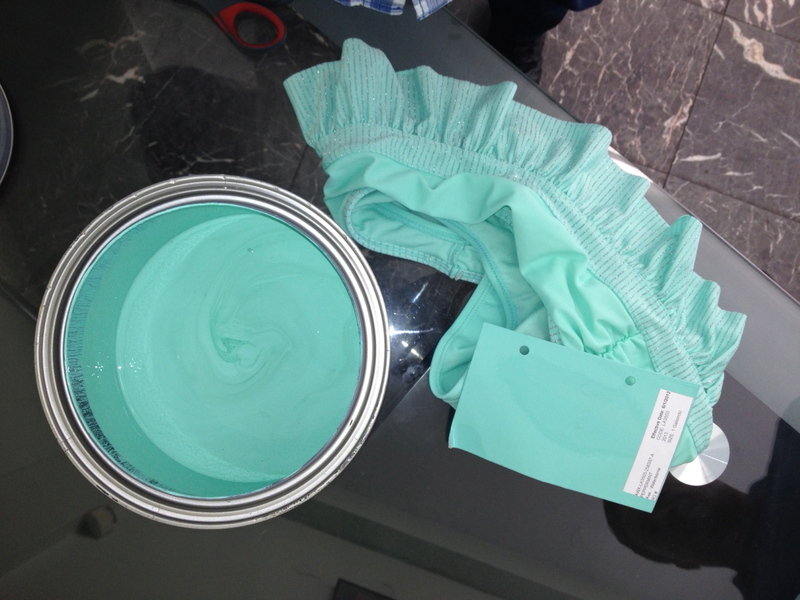 Picked a mint color from a bathing suit we found. Had our body shop match the color and it turned out incredible!! LOVE this color! WOW! 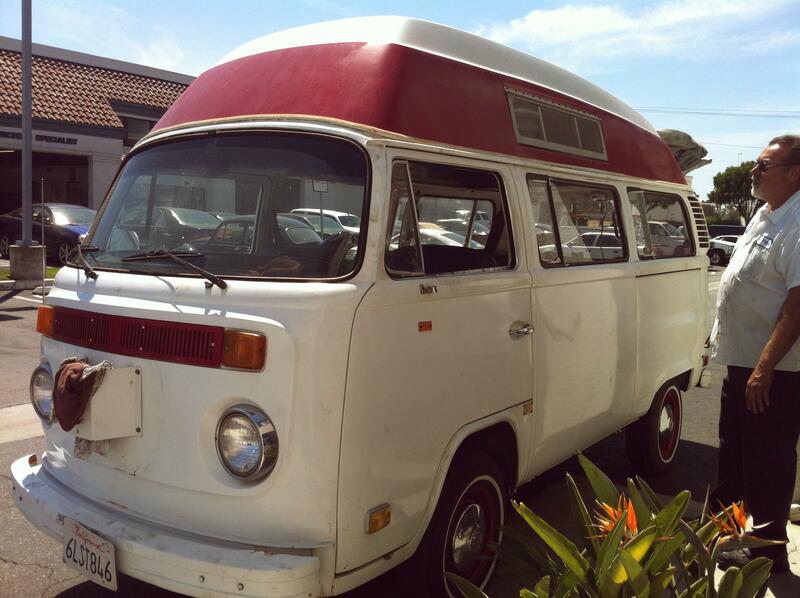 The paint job really turned this beat up bus into something incredible. Paint does a body good! ;P The vision was starting to come to life. We couldn’t have been more excited! We are almost there. Now we needed to wrap this bad boy! 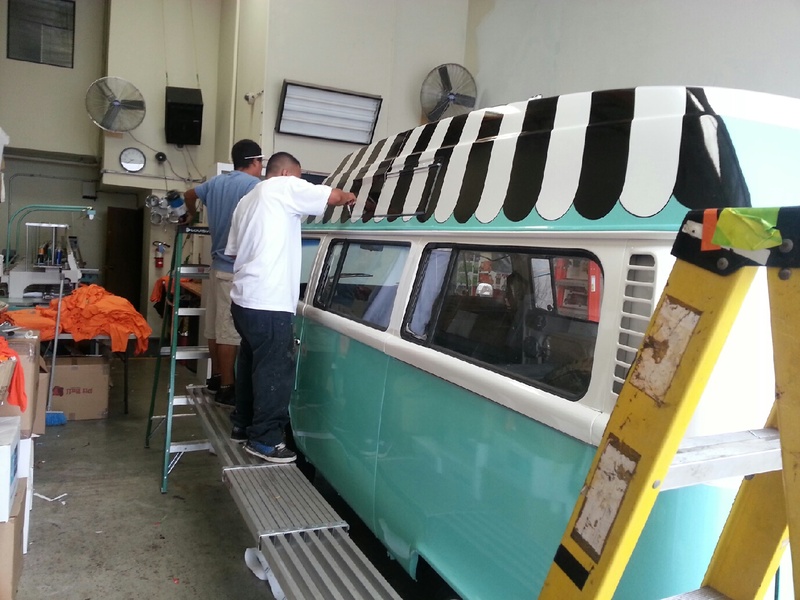 Check out what an UH-MAZING job Wrapone did! 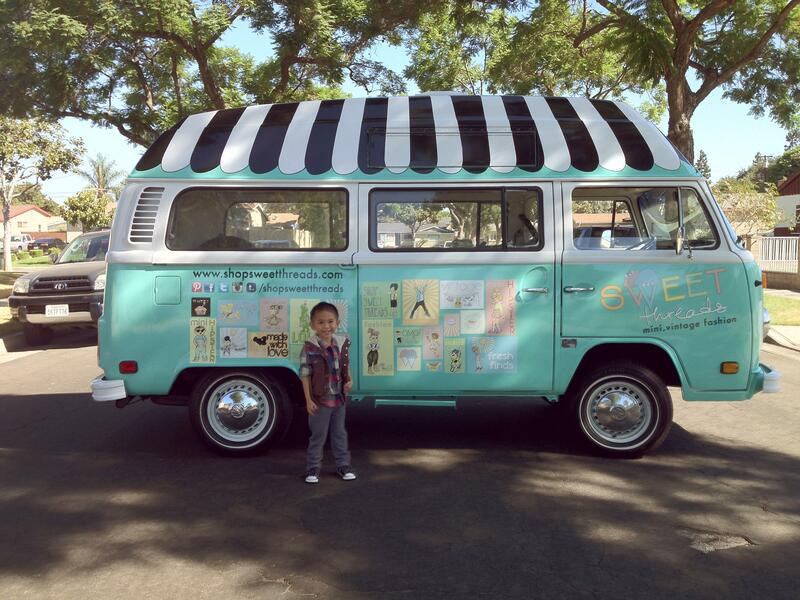 Even our mini model, Thales digs it! 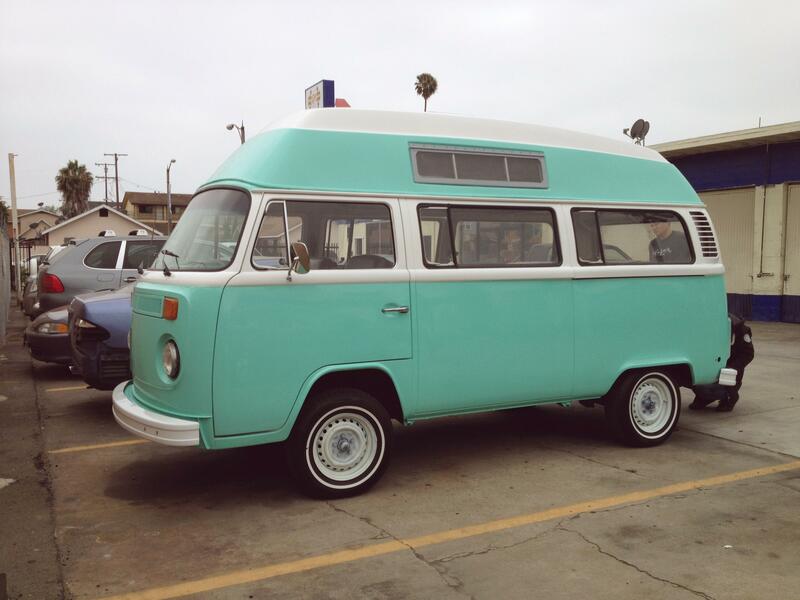 Now that we have this bus, the ideas are endless. Joining the flea markets are not where it stops. 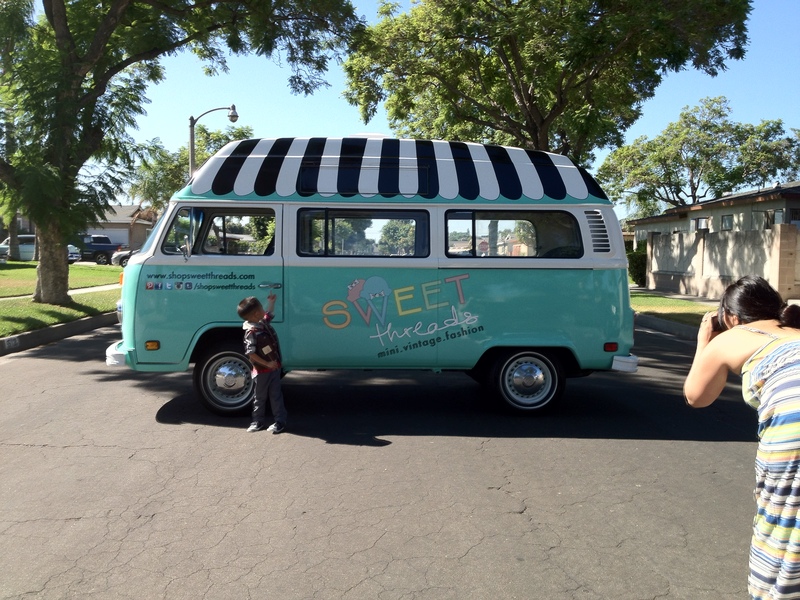 We will be on the road doing events, tweet ups, birthday parties, baby showers, personal shopping appointments, the list goes on. So keep an eye out for us on the road. 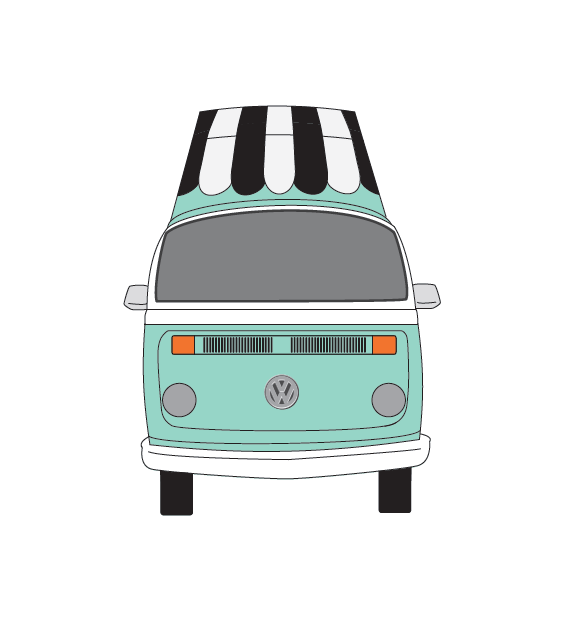 Follow us on Twitter for shop and location updates, Like us on Facebook , and follow us on Instagram or Tumblr for fun photos! 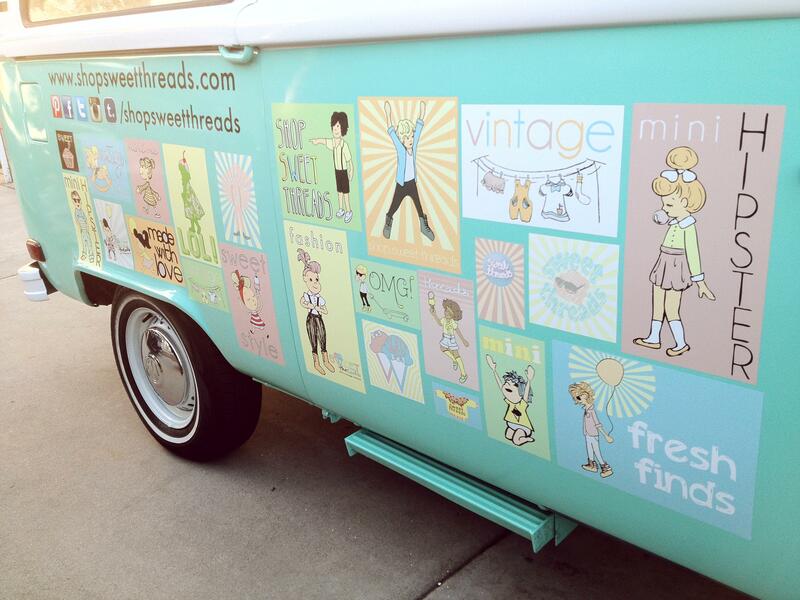 We LOVE company and meeting new people cruising around in our new sweet ride. We hope you can join us in this journey. It’ll sure be FUN!